By aligning our business processes with requirements set out in the following standards we are able to assure customers of our ability to deliver unrivalled levels of service and product quality. • We communicate with, and listen to, our customers. • We are proactive in anticipating customers' needs and expectations. • We safeguard our customers and ourselves by maintaining statutory and regulatory compliance. • We provide marketing, technical and support information that is readily accessible and easy to understand. • We continually strive to improve our operating processes, products and services for the benefit of our customers. As a leading distributor of electronic components, RS understands the importance of maintaining effective ESD controls. It is registered to the ESD control standard ANSI/ESD S20.20 – an achievement recognised by the Electrostatic Discharge Association. In addition, RS also complies with the parallel European Standard EN61340-5-1. ISO 17025:2005 – an international standard establishing the requirements for the competence of testing and calibration laboratories. FPAL - Connecting Buyers and Suppliers in the Oil & Gas Industry. 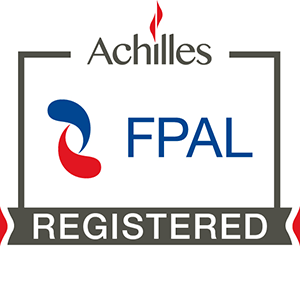 Achilles FPAL provides a fair, open and transparent means of selecting suppliers for potential tender opportunities. JOSCAR registered - Valued by some of the largest purchasers in the defence community and indicates that you have gone through the process and have demonstrated your commitment and credentials to the industry.